★Keep landings under better control with these mass dampers, which help to keep your car's bounce in check. ★Short (6x6x14mm) mass dampers allow a lower center of gravity and blend into the overall look of the car more easily, particularly with their silver color. ★Weights can also be secured tightly to the car if desired. 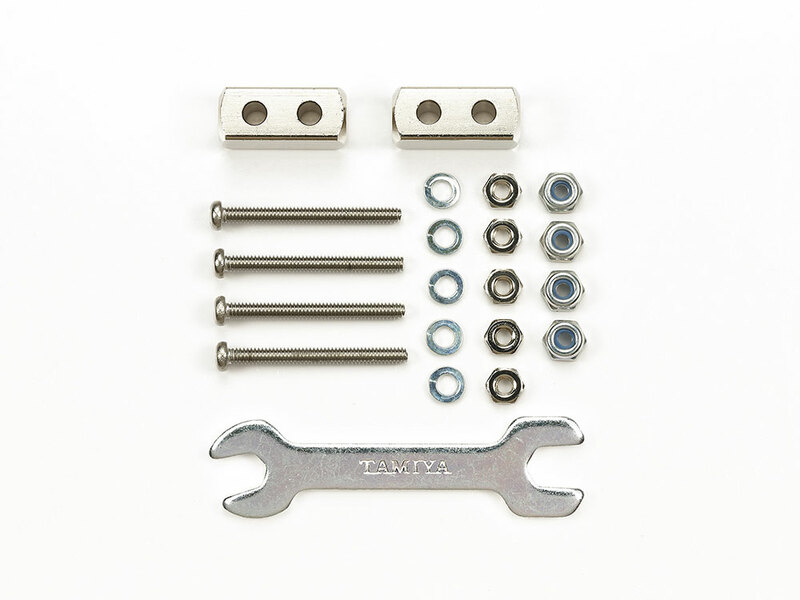 ★Comes with 2x20mm screws, 2mm lock nuts, 2mm nuts and 2mm spring washers. ★Weight: 3.6g (per block) ★Material: Brass with silver color plating. *Some bodies may require modification.